PRICE IMPROVEMENT- DONT MISS OUT! Welcome Home to 1922 Harwood Road! This Gorgeous Cape Cod is located in the Highly Coveted & Water Privileged Community of Pendennis Mount on the Banks of the Severn River. 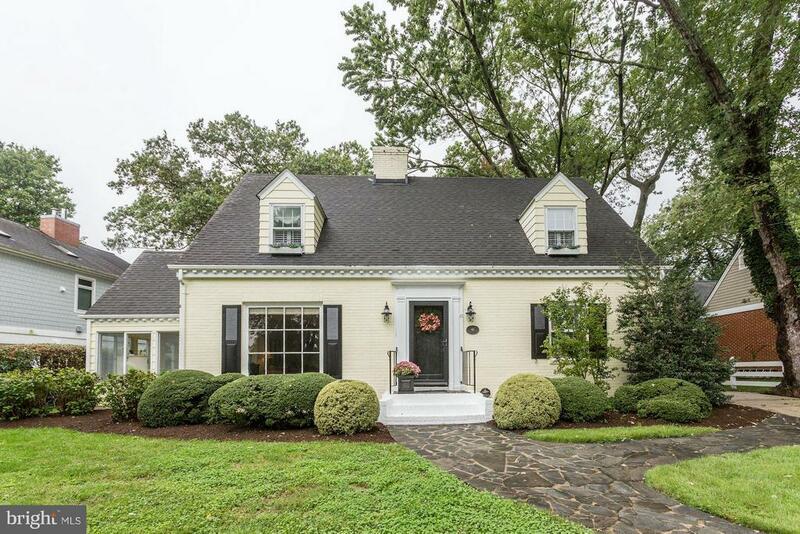 Built from plans from the Better Homes and Gardens Magazine in 1950, this 3 Bedroom, 2.5 Bath Home is Bursting with Character & Charm at Every Corner. It offers Beautiful Hardwood Floors, Custom Built-In Cabinets, a Sun-Drenched Family Room complete with a Cozy Wood Burning Fireplace & a Captivating Window Seat, a Beautiful Gourmet Kitchen with Granite Counters, Stainless Appliances & a Large Center Island made for Entertaining, a Wonderful Dining Room and a Lovely Master Retreat. The Delightful Sun Room offers the Perfect spot for your Morning Coffee and overlooks the Private Patio & Spacious Yard. The Functional and Enchanting Mudroom leads from the House by a Covered Breezeway to the Detached 2 Car Garage, which offers Endless Possibilities. Watch the Blue Angels & 4th of July Fireworks at the Community Beach or Pier. Come and see the Grace & Aura of Living in this Special Home - This is Truly Annapolis Living at its Finest! Directions: Take 450 Towards the Navy Bridge. Turn Right into Pendennis Mount onto Chase Street. Take your First Left onto Harwood. House is on the Right.